Are you worried that you’re spending too much time scrolling through feed on Facebook and Instagram? Then brace yourself because Facebook and Instagram are going to tell you exactly how much time have you been spending on them. 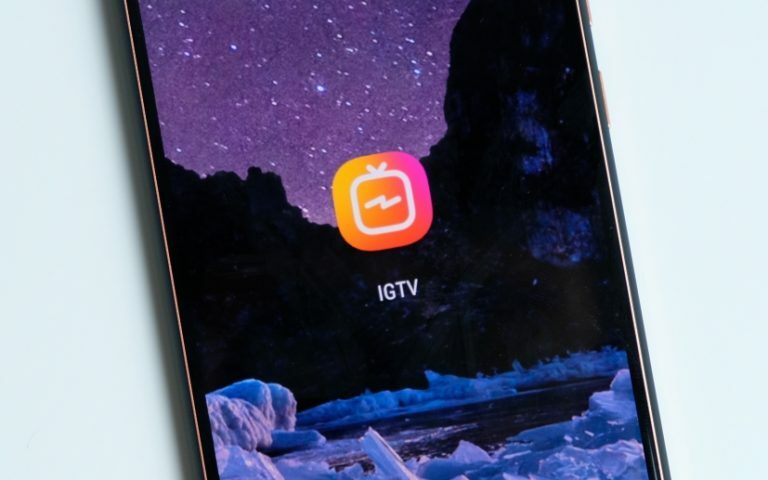 Facebook and Instagram has introduced an upcoming feature that actually keep track on how much time you have been spending on these apps. 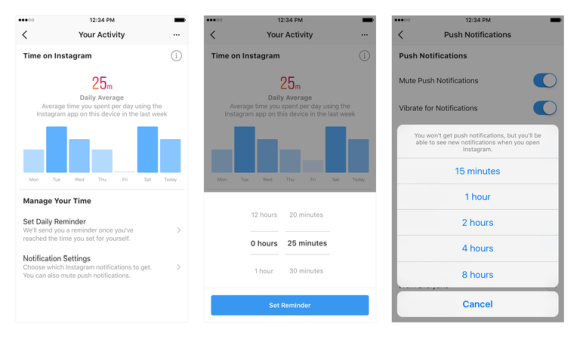 This feature will help Facebook and Instagram users to stay mindful of how long they have been exposed to social media. 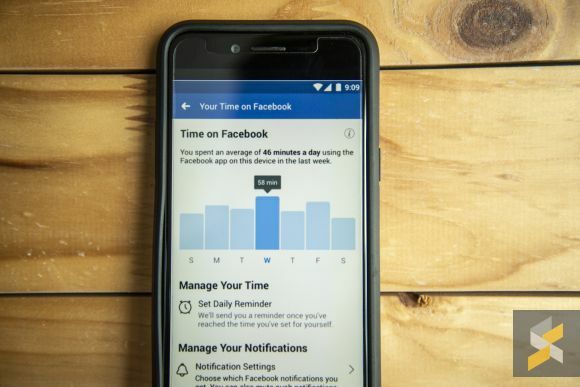 Facebook also confirmed the feature’s development to TechCrunch, with a spokesperson indicating: “we are always working on new ways to help make sure people’s time on Facebook is time well spent”. To access the feature in both Facebook and Instagram, you simply have to go to the settings page on either apps. On Facebook, tap “Your time on Facebook” and on Instagram tap on to the “Your activity” tab. You will see a dashboard showing your average time for that app and you will be able to tap on any bar to see check on your usage on that day. There will also be a self imposed daily time limits to cap the amount of time you spend on the app for that day. Once you’ve exceeded your allocated time, the app will alert you of that fact. This feature also comes along with tools to temporarily mute your push notifications. However, this is not a perfect system. This feature only tracks usage by devices. So if you are to check in on multiple devices a day, it will be harder to determine how much time you really spend on these apps. What’s more, the self-imposed time limits don’t actually lock you out of the app when you exceed the amount you’ve allocated for yourself, which doesn’t feel that consequential. That said, this new feature may be one of Facebook’s most visible steps to address the growing concern that their apps are too addictive. 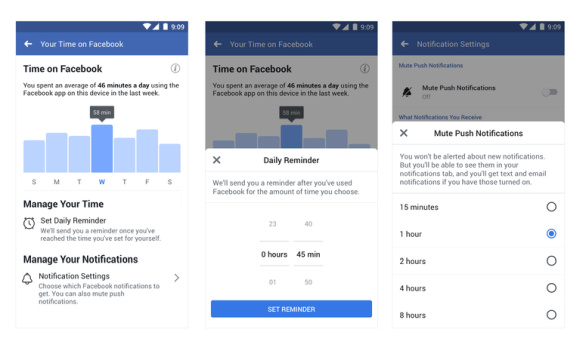 Considering the fact that Facebook makes more money the longer we stay on its platform, it is interesting to see them implementing a feature that encourages us to spend less time on it. What do you guys think of this? Let us know in the comments below.